The spokesman of the Egyptian armed forces clarified Saturday circulating news of 400 US troops about to be deployed to Egypt. "The 400 US soldiers coming to Egypt as mentioned in the media are part of the periodical renewal routine for the US faction of the 13-state multinational force deployed in Sinai since the peace treaty. 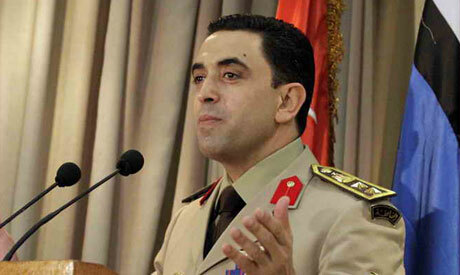 They are not armed with military operations gear," spokesman of the Egyptian military Ahmed Ali said Saturday. A number of US news websites had reported in the past two days that a group of US soldiers will be deployed to Egypt in the near future for a nine-month peacekeeping mission aimed at "curbing riots … if protests and riots reach the point of threatening Israel's security." "We are providing this clarification as we respect the right of the great Egyptian people to know the truth from its original sources and to prevent distortion of information by any instigators," Ali added. News of the US troop deployment started to raise controversy coming a week before opposition-backed anti-government protests scheduled for 30 June aimed at the removal of President Mohamed Morsi. Egypt's military presence in the Sinai Peninsula is limited under the 1979 Egypt-Israel Peace Treaty.